The threats faced by wildlife around the world continue to increase. Each year, thousands of animal species are lost to extinction. Mountain areas provide one of the last safe havens for endangered plant and animal species. But even these last safe havens are now under threat by irresponsible human activities. A large number of mammals have taken up homes in mountainous areas. The most cited reason for this is environmental variation, which is the evolution of different species that live in the valleys and mountains. 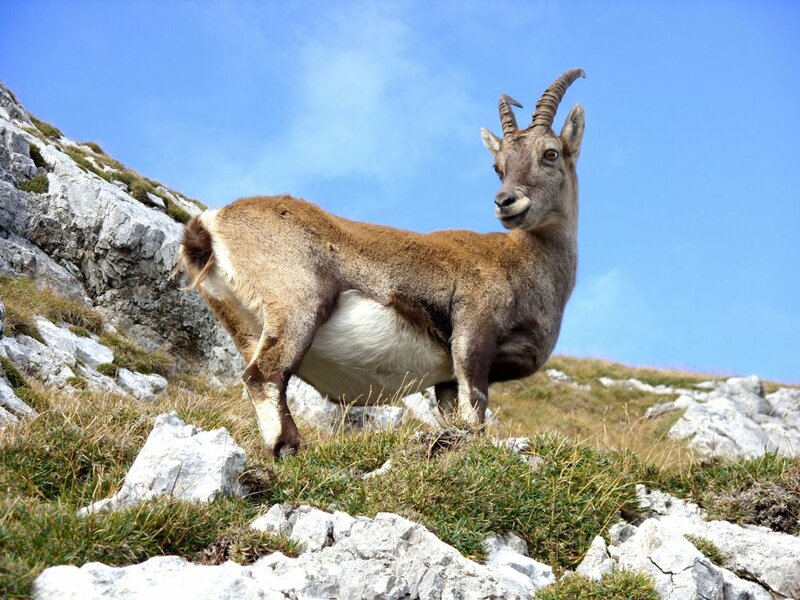 But studies have revealed that the high level of biodiversity in mountains can also be attributed to the protection mountains offer to endangered species. Animals are taking refuge in mountains because we've driven them from other ecosystems. Mountains provide safety to animals that have come near extinction. But these last safe areas for wildlife are continually faced with a myriad of challenges which include animal agriculture, human development, insufficient water, climatic changes, desertification and declines in biodiversity. The brown bear once flourished in Asia, North America and Europe. But now they can only be found in mountainous areas due to the threats faced in lowlands. In the past 100 years, only 1% of the entire population of brown bears has survived in the United States. Pumas, otherwise known as mountain lions, are mostly found in the mountains – especially in the Andes and Rockies. It took its home in these areas primarily due to the threats they face from the activities of man. Red pandas are mostly found in the Himalayan mountain chain. Even though this region is reasonably inaccessible to humans, the red panda is having a difficult time surviving as bamboo, which it feeds on, continues to be depleted. For the giant panda to survive, three things are important; high mountains with deep valleys, lush bamboo vegetation, and rippling streams – all of which are threatened by human activities. The golden eagle has its home in the Northern Hemisphere. Like many other endangered species, the number of golden eagles has plummeted due to human actions. Not only do mountain forests serve as protection for wildlife, but billions of people depend on them for their income. 60% of the world’s fresh water comes from the mountains even though they cover just 12% of the Earth’s surface. The quality and quantity of water supplied to industries and lowland communities is influenced heavily by mountain forests. If there are no forests in the mountains, erosion is bound to occur, leaving the quality of water in jeopardy. Most cities source their water supply from the mountains. For instance, 95% of Vienna’s water comes from mountain forests of the Northern Alps. Honduras and Tegucigalpa get 40% of their water supply from the cloud forest of La Tigra National Park. 97% of Kenya’s electricity is generated from Mount Kenya using hydroelectric technologies. The Tibetan plateau serves as a water tower for more than 3 billion Asians. A large amount of carbon in contained in mountain forests. When these mountain forests are lost, a massive amounts of carbon will be released into the atmosphere. Every day mountain forests continue to face threats from human activities. As the world’s population continues to increase, farmers are migrating to higher lands, contributing to the depletion of forest life. More than half of Africa’s mountainous areas have been turned into grazing lands. Excessive grazing leads to the destruction of fragile vegetation. 10% is used for growing crops. This practice is unsustainable due to the fact that crops do not do well on highlands. Most mountainous areas are unproductive lands. Only a meager 3% of mountain land is suitable for growing crops. About 25% of mountain lands across the world have been used for roads, dams, pipelines and mining projects. Every year, billions of minerals are extracted from mountains. Not only does road construction lead to erosion, it also provides easy access to cut down trees. Mountain habitats are very susceptible to climatic changes. As glaciers continue to melt, snowcaps are receding. Scientists believe this will eventually lead to a series of landslides which will eventually affect water reserves. As climatic conditions continue to change, there will be an increase in the number of pests which further endanger forest life. Civil wars have a devastating effect on mountain areas. Insurgents base their stations in the mountains. It has been estimated by the United Nations that 67% of African mountain regions have been used for violent activities. Governments have slowly begun to take small steps to reduce forest depletion. National parks are being erected in different parts of the world to conserve some fragile regions and to serve as refuges to endangered species. Although national parks are protected, they are still subject to environmental pressure. The high rate at which animal species are being lost is a clear indication that mountain strongholds are still being attacked by poachers. Mountains are vital to all life on earth, including humans. What happens on the highest mountain peak affects all life in the lowlands. Lands, freshwaters and even oceans are affected by moutains. Much larger steps must be taken now to save these last wild areas from animal agriculture, development and other human impacts.